The election has come and gone and, despite all our efforts, we fell short of 3%. In fact, the combined total of both the Libertarian and Green Parties fell short of 3%. What does this bode for the future? By a strict reading of Ohio Election Law we should still have access until the 2020 Presidential Election, but when has government ever followed the law? Should they deny us access yet again, what then? Do we roll over and play dead? De we surrender to the politics of fear that drive the mainstream Parties? A friend of mine majored in History, with a particular interest in Church History. One night, several months ago, he spent almost an entire hour explaining in great detail his belief that the worst thing that ever happened to the Christian Church was it being not only legalized by the Emperor Constantine but being made the official religion of the Roman Empire. Until that time, he argued, believers had to be committed to the cause because their very lives were at stake. Afterwards, as a legally recognized religion it became fat, lazy and corrupt in just a few generations. He argued that the loss of religious liberty feared by so many today might be the best thing that could happen to the church because the dead wood would be cut away and only those most committed would remain. So, if we lose ballot access will that spell our doom? Some might be tempted to walk away from the Libertarian Party in frustration, believing we will never have a chance, but those who remain will be those most committed. And those most committed can work wonders. Ballot access or no, our core message of liberty will remain the same. Others will say that our votes are doubly wasted and all we’re doing is shouting at brick walls, but walls have been known to crumble. All the loss of access will mean is our task will be a little bit harder. But worthwhile causes usually are. Franklin County needs energetic people to run for office! Libertarian elected officials get to make policy that reduces the scope of government and increases personal liberty. We encourage first-timers to run for local offices in odd-numbered years. You must file a declaration of candidacy with the Franklin County Board of Elections, with completed petitions containing the number of signatures required for the office you are seeking. Local offices include city and village council, township trustees, and school board members. See what county, city, village and township elections are in your area. With a term or two of local office, you will have the experience and credibility to run a successful campaign for county, state, or federal office, but if you have the qualifications to run for a different office, we won’t turn you down! Before starting your campaign, take a quick look at our “Candidate Quick Start Guide” video (27 minutes). Franklin County Libertarians offer free tools for outreach through our Contactshelper platform. Organize volunteers, donors and voters with tags and create campaigns for easy instant phone and text banking. Import your own personal contacts to get a jump start on organizing, and import voter records from your local Board of Elections to identify walking lists and likely voters. 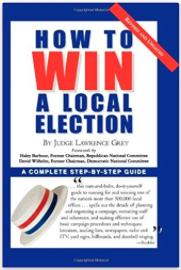 We also highly recommend getting copy of “How to win a local election“, or one can be provided to you (you just have to promise to read it!). We can help you. Please complete this form, and our Political Director will be in contact with you.